Seven Wonders pattern designed by ruby & kate featuring David Butler's Seven Wonders fabric. 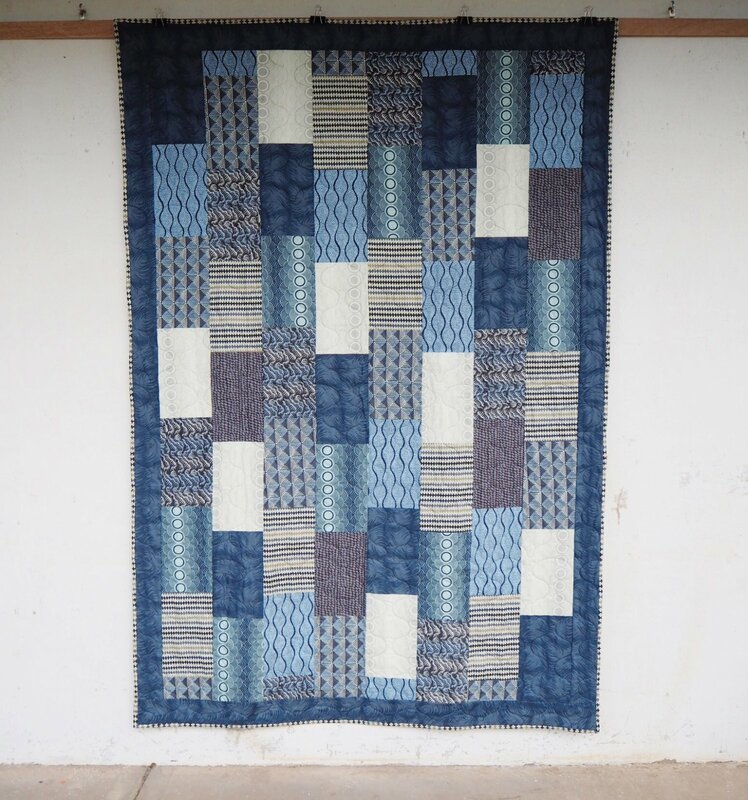 This quilt is perfect for the boys as it is a simple yet striking brick quilt with a border. A good single bed or throw size, and of course can be made using any range of fabric and flannels would look great too! Finished size approx. 53" x 78"